Click here for our latest catalogue (pdf format). Bauhaus, Offshoots & Selected Others. 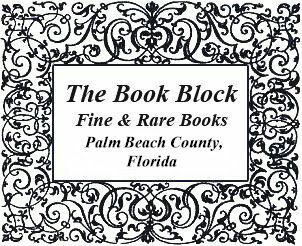 We are antiquarian booksellers specializing in fine and rare books, including Illustrated Books, Literature, Private Press Books, Fine Printing and Binding, Americana, Voyages & Travels, and Autographs & Manuscripts. We are long time members of the Antiquarian Booksellers’ Association of America (ABAA) and the International League of Antiquarian Booksellers (ILAB). Membership in these organizations requires conformance to a code of conduct and ethics designed to provide confidence for persons doing business with members to ensure that transactions will be conducted honestly and fairly.